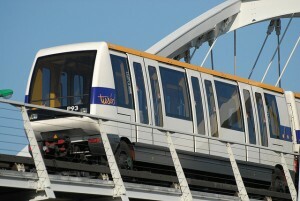 On 15 January SMTC Tisséo, the transport authority for the Toulouse area, awarded Siemens a contract to increase the capacity of line A of the city’s 2-line automated metro network. The €66 million-contract includes doubling the length of trains and station platforms from 26 to 52 metres. It also includes modifying the automation, the control centre, platform screen doors, power supplies and depots. This capacity-increase project is designed to respond to a constant increase in ridership. The number of daily passengers has risen from 125,000 when the line opened in 1993 to 230,000 today and further growth is forecasted. The headway at peak hours is currently 60 seconds and cannot be further reduced, so using longer trains was seen as the only solution. Line A was built by Matra, the French company which created the VAL fully automated rubber-tyre metro which runs in different versions in the French cities of Lille, Rennes and Toulouse, but also in other countries including Italy (Turin) and South Korea (Uijeongbu). Siemens acquired Matra Transport between 1995 and 2001. Its world headquarters for VAL are located in Toulouse. Completion of the works is expected for 2019.